This is an oldie but a goodie that I just re-discovered. 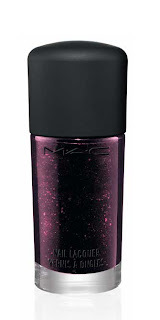 The nail polish came out with the MAC Style Black collection. I cut my nails very short for fall as I believe you must have short nails to pull off fall vampy colors. That being said, I have been on the hunt for my new color for fall and I found it! 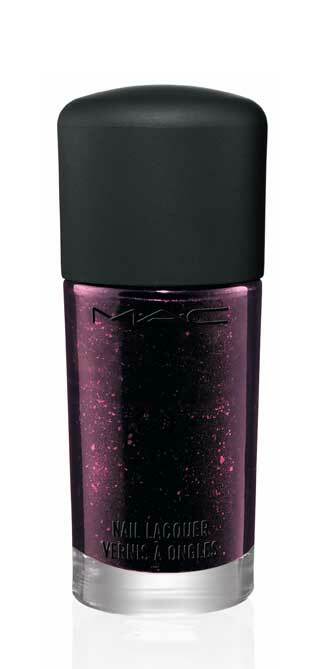 It is called Baby Goth Girl and it is a very deep dark aubergine with micro fine red shimmer and a few larger flecks. The larger flecks are still very subtle. I am absolutley in LOVE with this color. The formula is spot on, no streaks, perfectly thick and smooth without being chunky. I have only used this a few times but I think this will b my go to for this fall. I wish I had another bottle. I have not been able to find an exact dupe of this color anywhere. However, there are some that are close. Do you have this color? Are you in love with it as much as I am? I really wanted this, but it had sold out by the time I got to it. Thanks for the dupes, i'm going to have to track them down. Beautiful color! I just painted my nails black and filed them down as well. I'm just ready for Fall I guess!! You should check out the new OPI swiss collection and the new essie fall 2010 collection dara! You will love the colors. Brilliant colour. I need. Still available? I also love the OPI range as the brush is bigger and their formula is always great. Sally Hansen Insta-Dri Uptempo Plum is supposed to be an extremely close dupe to Young Punk. 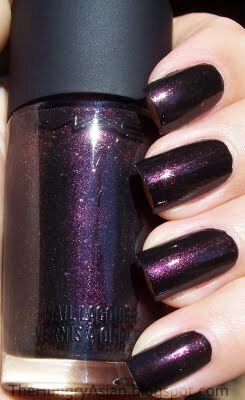 I am still sad that I wasn't able to get this polish when it first came out! I've dug out my old bottle of Baby Goth Girl and am loving it again. Thanks for the reminder! Any recommendations for a good topcoat though (available in UK)...I find it chips really easily. that's one of my fav nail polish shades ever! i wish i had bought a backup last year when it came out (and i NEVER buy backups). i also loved seriously hip from the same collection. teasey does it by OPI for the burlesque collection is a great dupe. just got it and i love it.